Outstanding experience, wonderful musician, great interpersonal skills. Thank you so much for your 5 star review. I really appreciate it. You were one of the most organized people. That made my job much easier. By the way, your family's singing ensemble was most impressive. Xiao Lei is the best, most beautiful harpist! You play with so much feeling and emotion. Xiao Lei, Thank you for adding such a beautiful dimension to our occasion of sending our Dad to Heaven! God bless you. Thank you so much for having me play at your event. Your kind words are deeply appreciated. I will work with you to make your event elegant and special. 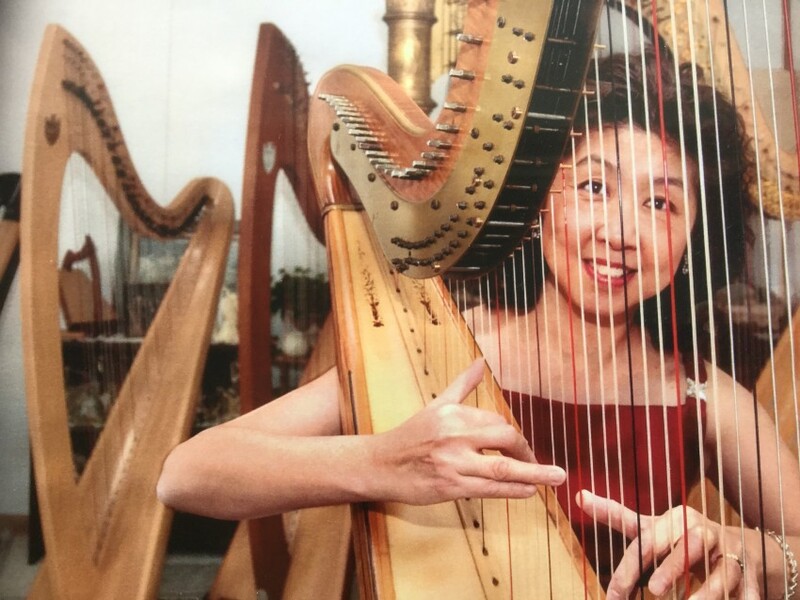 Harpist Xiao Lei Salovara holds a Bachelor of Music degree , Master of Music degree and a performing Artist Diploma from The Cleveland Institute of Music. Xiao Lei, pronounced as "Chalet", has performed for all types of events in Cleveland and the Northern Ohio area for over 20 years. She has also performed with the Cleveland Orchestra, Toledo Symphony, Wheeling Symphony, Cleveland Opera, and Cleveland Ballet. She was a guest performer on Tonight Show, and performed with celebrities like Yanni and Pavarotti. Xiao Lei taught the Cleveland Institute Prep Harp Department for 15 years. Currently she teaches at the Baldwin Wallace Conservatory Adult Education Harp Department. She also operates a private harp studio. I don't play outdoor events. I move all equipment myself. An electrical outlet nearby for my amp system is required.